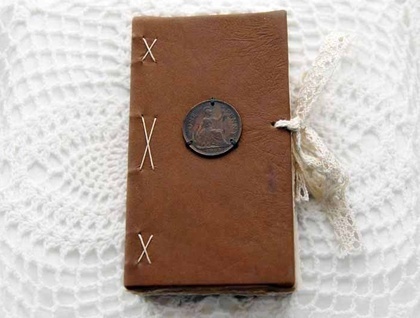 "Add some vintage spice to your journaling, with me, the Recycled Shabby Chic Journal. 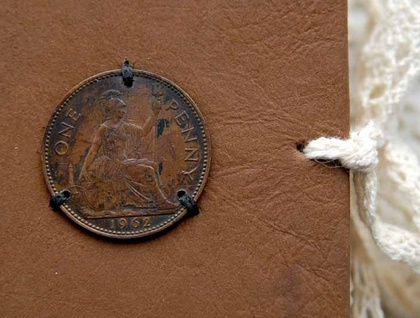 I am covered with soft brown reclaimed leather, & embellished with a vintage NZ penny from 1962. 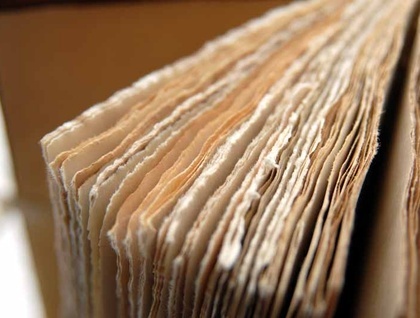 Inside, you’ll find 96 pages (192 sheets) of tea-stained hand-torn recycled paper on which to write. 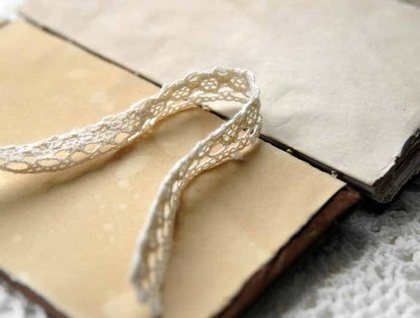 This lightweight paper has a lovely olde worldly feel and responds well to ink and pencil. Coptic stitched with archival linen thread, I lay flat when in use & close with a sweet cream crochet tie. Measuring 8 ½ cm wide & 14 ½ cm long, my slim line design makes me fit perfectly into most bags, satchels and panniers (or a large pocket). I would make a unique gift for the writer, poet, thinker or ponderer.